Our Carpenters Mate wood screws come in a variety of lengths from 50mm to 75mm, specifically designed for the UK timber sizes. Our range of Carpenters Mate self-drilling wood screws have been tried and tested by the trade and have become a popular choice amongst many UK tradesmen when it comes to fixing timbers quickly, safely and efficiently. Our self-drilling screws are designed to replace the traditional methods of fixing timbers to improve efficiency and safety. We’re proud to be the UK’s original self-drilling screw supplier and have built a network of 3,000 distributors across the UK. What’s more, our fasteners are designed with quality in mind. We offer both carbon steel made from C1022, which is a high tensile, structural steel, great for strength and ductility, and then stainless steel which is suitable for saltwater areas due to their high corrosion resistant properties. A Carpenters Mate screw is designed to work every single time and can even be re-used. Pro Hex Head Screws: our Pro Hex Head screw is guaranteed corrosion resistant, features a self-countersinking head style for increased holding power and has been specifically designed for wood to wood applications. 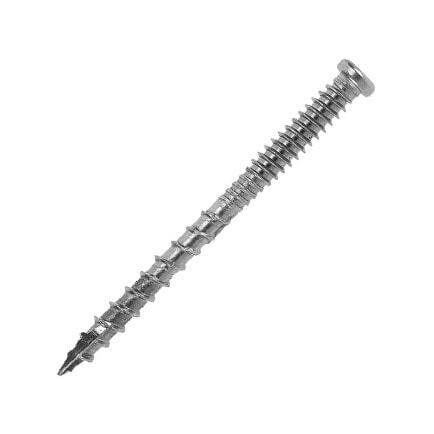 Flat Head Screws: Our flat head screws have been designed to suit insulation and roofing applications, benefiting from a flat head which provides extra hold with sheet materials. 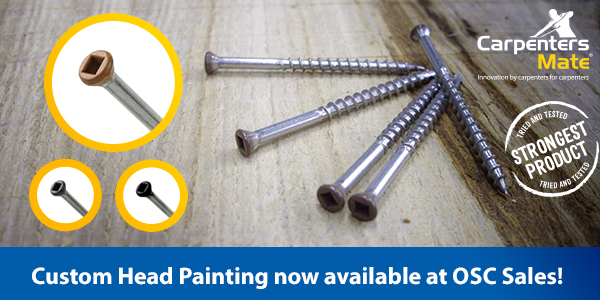 HD Hex Head Screws: Our HD Hex Head Screws are suitable for heavy duty timber projects such as flooring, decking, loft conversions and repairing roofs. Benefits include guaranteed corrosion resistance, self-drilling, and a free drive tool with every purchase. 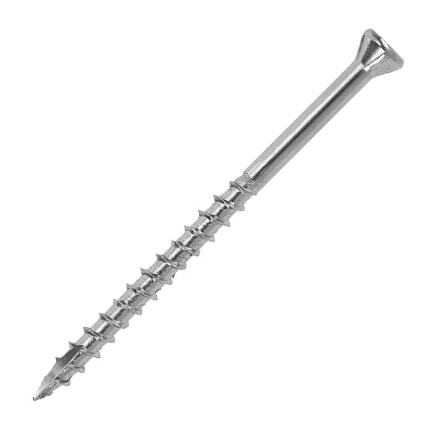 Exterior Wood Screw: our Exterior Wood Screws feature a self-countersinking square drive head which offer the necessary strength for outdoor applications. Stainless Steel No. 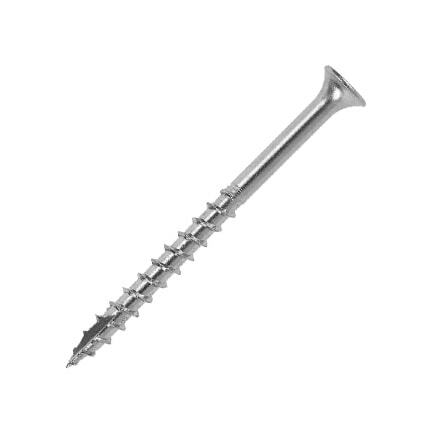 10 Bugle Head Decking Screw: our No.10 Bugle Head Decking Screws are self-drilling screws made from stainless steel, perfect for structures near coastal environments because of their anti-corrosion properties. Stainless Steel No.7 Finishing Screw: our No.7 Finish Screws have a 6mm head diameter to provide a ‘near invisible’ fastening, ensuring you can achieve seamless finishes with every project. Stainless Steel No. 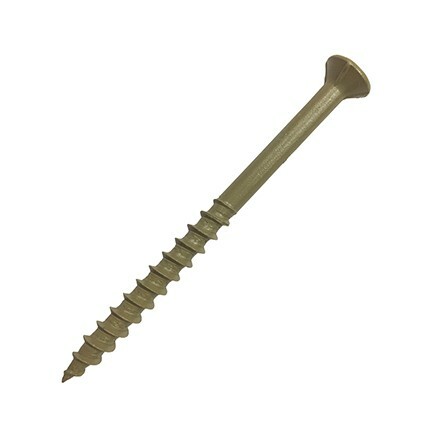 10 Composite Deck Screw: our No.10 Composite Deck Screws feature a gimlet point to improve drilling speed quality of finish. 316 Stainless Steel Hex Head Screw 6.3mm: similarly to our No.10 composite Deck Screw, our 316 Stainless Steel Hex Head Screw features a gimlet point and are designed to be tough and durable for longevity. Carpenters Mate wood screws are renowned for their quality, convenience and durability having been designed for carpenters, by Carpenters. Carpenters Mate is now one of the UK’s leading screw suppliers and is a trusted brand, recognised by tradesmen throughout the country. Carpenters Mate was established in 1998 when there was an evident niche available in the market for first-class corrosion-resistant screws and fasteners for UK timber sizes. We have built a strong network of more than 3,000 distributors across the UK. Click here to find your local distributor, or if you’re interested in becoming a Carpenters Mate distributor. With every pack, we provide the corresponding drive tool so there is no need to worry about purchasing a new one or finding a drive tool to fit! In addition to our drive tool accessories, we also offer gloves and adjustable support anchors which aim to assist you in your structural projects. To explore our accessories please visit our online shop or visit your local distributor. Find out How Many Screws You Need with our CalcuMate App! In order to help find out how many Carpenters Mate screws you’ll need to maintain compliance standards, we have created the CalcuMate App. The app features an accurate multiple member spacing calculator, which calculates how many Carpenters Mate screws are needed per joint. The app is simple to use, you can sign-up online, then enter details about timber joints and CalcuMate will do the rest for you. Find out more about the CalcuMate App via our website or download the app using the App Store or Google Play Store. Are you interested in purchasing Carpenters Mate products from your local distributor, you can find a list of your local distributors here. What’s more, we also offer the opportunity to become a distributor too, read more!